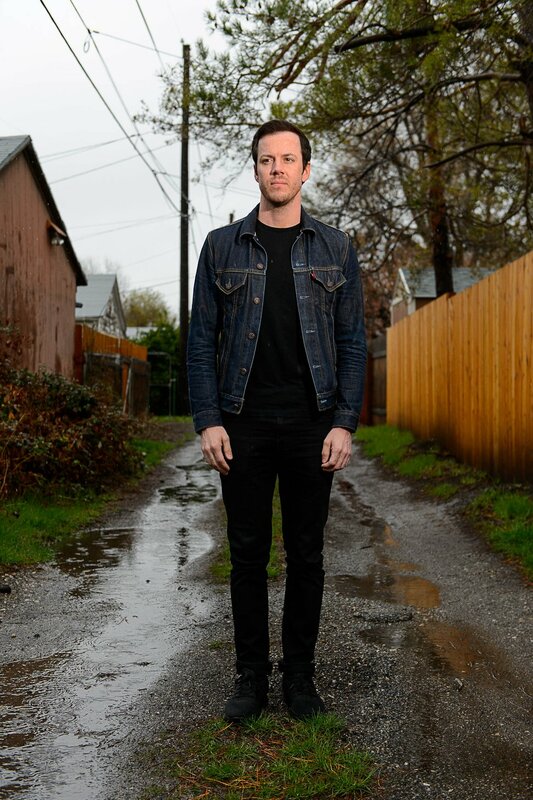 Music • After a dozen years on the periphery of the industry, the Orem-based musician is throwing himself headlong into making it as a professional musician. By day, John Allred was working 9 to 5, editing instructional YouTube videos for a musical education company. By night, he'd don the attire of his alter ego, "Allred" — solid-color T-shirt, denim jacket, skinny jeans and low-cut boots — and go off on another adventure. 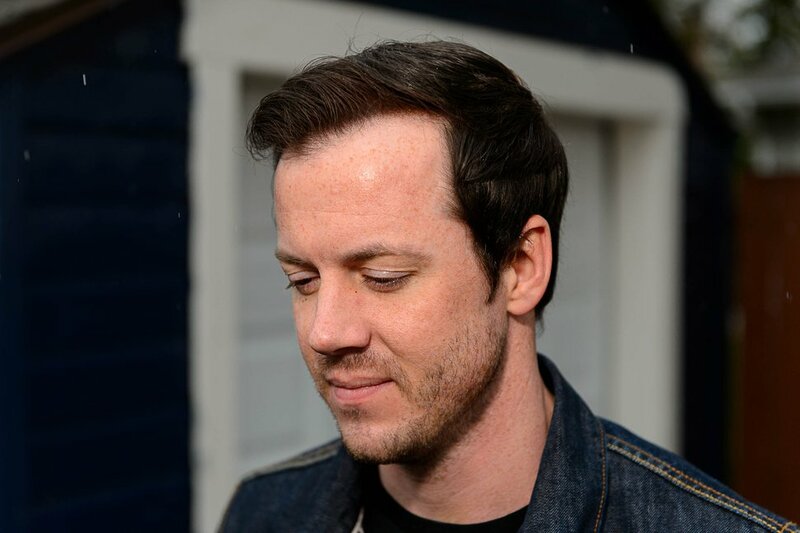 Sometimes the Orem-based singer-songwriter would use his connections to land the odd opening slot for a visiting band in need of some local support. Other times he'd book mini-tours that would venture to such far-flung locales as Logan and Cedar City, or — if he could wrangle his schedule just so — Denver and Seattle. If his in-and-out bandmates could join him, great. If not, he'd go solo, armed with an acoustic guitar and a looping machine. This routine enabled him to make just enough money to put together his next EP and to go out again and live his dream in small doses. Problem is, small doses are never enough to feed an addiction. And John Allred was becoming increasingly addicted to the idea that, after years of merely dipping his toes in the water, it was time to dive in headfirst and fully immerse himself, to see if he could make it. He made his decision — with a nudge from his supervisor — the first week of February, the same time he was releasing his aptly named "Brave New World" album. "I knew I was in a transition, and even my boss at the time was trying to steer it to a point, where he was like, 'Well, I don't know if we're going to have as much flexibility in the future.' And so he kinda made me choose," Allred said in an interview. "And he was actually really supportive. He's a musician himself. And so I just told him, 'I think I'm gonna go back to music full time. I feel like I can't do both of these.' So it was one of those moments where it's almost nice … when they push you out." And while the loss of security was scary, Allred ultimately concluded that he'd never get to where he wanted to be if he kept himself tethered to safety. "I can't even tell you how many opportunities I've had to turn down just 'cause of work. I'm starting to realize that there is no story of a successful musician who had a comfortable day job. I just don't think you can have both," he said. "You kind of have to burn your ships and just know that there's no turning back." The surround of music • Allred grew up in West Hartford, Conn., the youngest of three boys and the son of two schoolteachers. His dad was a no-nonsense Phys Ed teacher ("If you can get through health class with your dad teaching, you can pretty much get through anything!"). His mom, a music teacher, "forced" him from the age of 4 to participate in musical theater. From then on, music was omnipresent in his life, sometimes even by his own choosing. Many who aspire to become professional musicians can lay claim to having been considered prodigies in their communities. Given the "huge, huge music programs" in West Hartford, though, that was not true of Allred. "I was surrounded by people who were much better than me my whole life," he said. "Amazing singers, amazing instrumentalists — a lot of them are working in the industry right now." He didn't even make the cut on a class project album. "My music teacher in elementary school would do a compilation every year for original music by students, and he would record it. … I got rejected — twice," he said. "… Interesting way to grow up, never quite feeling like you're good enough but at the same time having enough confidence to keep moving, keep creating. … I learned very early on that it's just a part of the music business in general — you have to get used to rejection." Despite the early setbacks, Allred came to be infatuated, honing his craft behind the scenes — not because he felt the need to match the accomplishments of his peers, but simply because he wanted to get better. "As a kid, it was very much my escape; it had very little to do with other people. Creating music on a piano, or teaching myself the guitar, teaching myself how to record very early on, was mainly just me creating my own world," he said. "It was kinda fun getting better writing lyrics and using meter and understanding poetry and symbolism and metaphors. … From the time I was in third grade to the time I was a junior in high school, I didn't really play for anyone. No one really knew I was even writing a whole lot." By his senior year, however, Allred at last felt comfortable enough to step out onstage and put his burgeoning talents on display. He and a friend entered a Battle of the Bands and won first place with an original song. And though he didn't know it at the time, that performance would also illustrate the potential pitfalls of professional musicianship. "The saddest thing is, I got paid more for that talent show's grand prize than I do for some gigs now," he said. Go west, young man • Allred was enrolled in the music program at Keene State College (now the University of New Hampshire-Keene), but believes his modern sensibilities brought him into conflict with the classically focused "old-fashioned" staff. He said one professor told him, "I don't like it that you're playing in rock bands on the weekends." He further claims it was not lack of knowledge or effort on his part behind a sudden inability to pass a required music theory course. "I actually got as far as I could at that school, and then I just couldn't go any further," he said. Unsure what to do next, Allred "ended up just coming out to Utah on a whim just to visit my brothers, 'cause they lived out here and they were both having their first kids that summer," he said. While crashing on one brother's couch in July 2005, Allred started to explore the local music scene — and he liked what he found. "I went down to Provo, saw a couple shows, went to open mic, and actually, within the first two weeks I was there, I had a coffee shop job and a sound-guy job — I ran the sound at Muse Music," Allred said. "So, actually, [promoter] Corey Fox is one of the first people who gave me a job when I first moved here." As his trip to Utah transitioned from visiting family to taking up residence, Allred tried to get the lay of the land, both figuratively and literally. 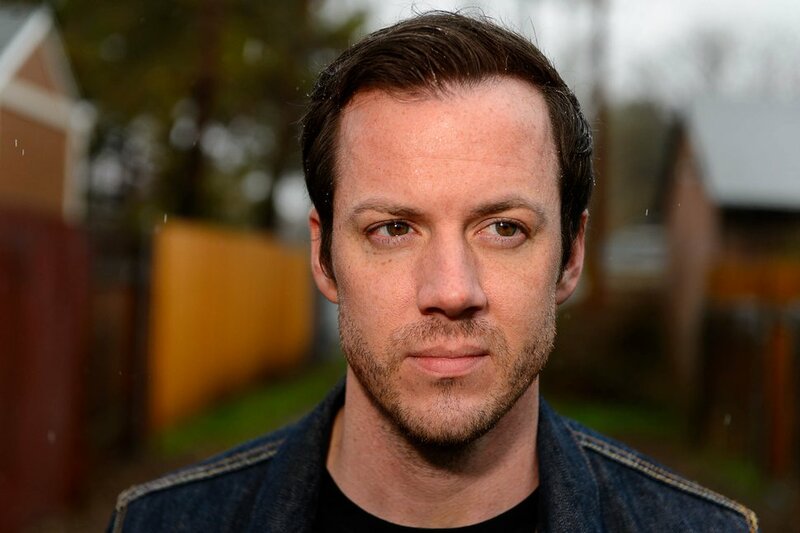 While he came to know such local luminaries as Imagine Dragons, Neon Trees and the Brobecks (who would later contribute membership to Panic! at the Disco), he couldn't quite get a handle on the scope of the state when it came to gigs offered to him. "You can drive through Connecticut in an hour. So geography didn't make sense to me when I moved out here," he recalled. "People would be like, 'You should come play St. George tonight!' And I'm like, 'Yeah, I'll be in Salt Lake but I'll make it over there.' I thought it was gonna be closer." Of course, permanently relocating to Utah, of all places, seems an odd choice for a person with ambitions of becoming a professional musician. The success of those other bands, however, convinced Allred he didn't need to be living in Los Angeles, New York or Nashville to make it. "To be honest, I found out pretty fast, you can get picked up from anywhere, you've just got to travel. You don't have to live in L.A., but you do have to play there a lot," he said. "… But if I'm gonna pay 10 times the rent that I pay in Utah County, and I can [just] travel there, that's just more cost-effective." Still, Allred's affection for his adopted home state — he eventually completed his degree at Utah Valley University — goes beyond mere matters of practicality. "This is a great place for me. … I don't think I would be the type of musician that I am if I didn't live here," he said. "For me, it has very little to do with 'Why did I move to Utah?' For me, it was like, 'I was meant to move to Utah.' … The people are nice, the cost of living is down, and the people appreciate music. That's pretty fertile ground for any musician." 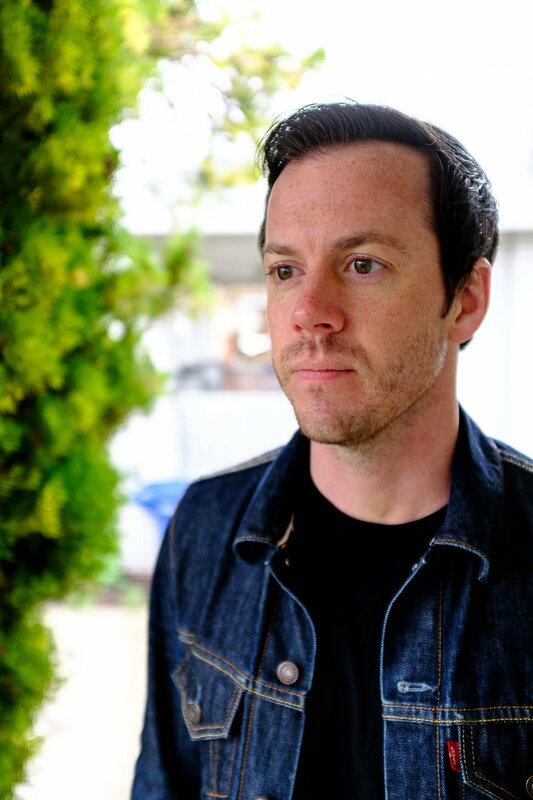 Zen and the art of musical maintenance • Of course, after almost a dozen years of being planted in "fertile ground," Allred has not seen his career blossom the same way those other local bands did. Much like the kid left off his elementary teacher's composition compilation, adult Allred has experienced disappointment with his lack of musical success. He never stopped trying, but that doesn't mean he never wondered whether it wasn't time to. "For me, it has been conditioning my mind to be more positive. … You have to remind yourself that this is the life you choose, this is where I feel like I'm meant to be, this is something I'm passionate about," he said. "… When I have a rough month, I'm usually on the phone with promoters, trying to have a pity party, and they just talk me out of it. The phone calls usually end with, 'You know you're not going to quit — you just wanted attention.' "
Part of the reason Allred sticks with it is his ability to get past the discouragement and to maintain a healthy perspective. Nothing ever turns out exactly as you planned it, he firmly believes, and so the only viable option is to make the best of it. "I've had shows where I've been electrocuted, I've had shows where my whole pedalboard shorts out, I've had shows where the electricity in the entire building has gone out, and I've kept playing," he said. "It's funny, but that stuff makes you realize that anything's possible and everything's unpredictable." Everything may be unpredictable, but that doesn't mean Allred's future is up to fate alone. He's doing what he can to at least point it in the right direction. That's why he quit his day job. That's why he's scheduled one of those mini-tours, a six-show jaunt that begins this Wednesday in Denver and wraps April 22 in Logan. That's why "I'll be touring more this next year than I probably have in a 10-year period." That's why he released his "Covers, Vol. 1" EP on March 9. That's why he's practicing day and night for an upcoming artist showcase. "I'm a bit of a realist, but I'm also someone who already feels so lucky with the small victories that I've had," he said. "I'm happy about it and I'm excited and I'm anxious, but at the same time, I'm just taking each moment as it comes. I have high expectations — I think the sky's the limit if you really work hard and you keep getting better. That's kind of the way that it works in my head." One of those small victories includes cultivating enough of a loyal local following that when "Brave New World" was issued on Feb. 3, it debuted at No. 4 on iTunes' Singer/Songwriter chart (behind only industry heavyweights John Mayer, Ed Sheeran and Joshua Radin) and at No. 6 on Billboard's Heatseekers chart. Allred is grateful for everyone who contributed to the achievement. "Every successful musician's career is on the shoulders of people who've loved and supported them and believed in them," he noted. Nearly two months later, he still can't quite believe that meteoric rise up the charts occurred. But he's determined to justify the faith shown in him by those who made it happen. "It was a little surreal. … I sold more CDs in two days than I had in a year," he said. "Every gig that I did, every person that came to a show, every promoter that gave me a chance, every venue that supported me, all the people that have recorded me, helped me make records, the crowd-funding thing, all that sort of stuff, my parents dealing with me, or loved ones, or significant others — this is for them. We did it, we got there, and it's cool to have that moment. But for me, it's like, 'OK, this is actually where we get to work.' "
It's time to put on the outfit again. 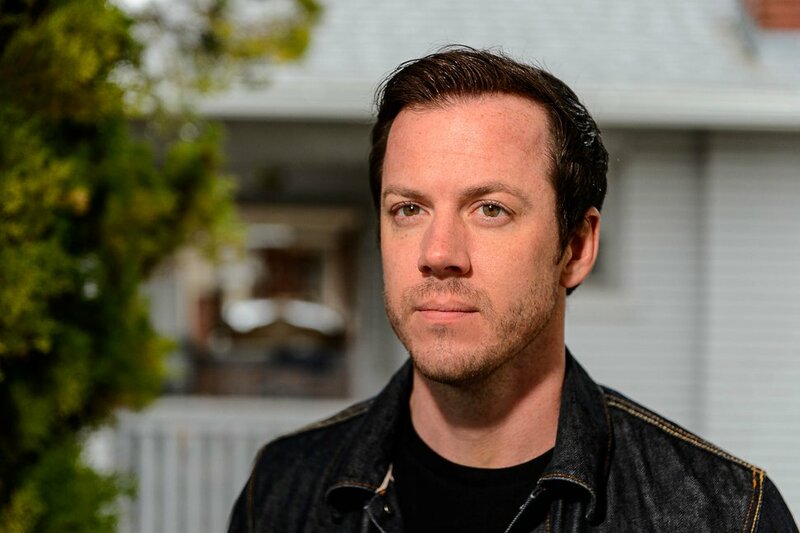 Trent Nelson | The Salt Lake Tribune Musician John Allred, who, after a decade-plus on the periphery of Utah's music scene, finally decided this year to pursue music as a full-time career and has already seen some initial success, with his new album "Brave New World" debuting at No. 4 on the iTunes Singer/Songwriter chart and No. 6 on the Billboard Heatseekers chart. Salt Lake City., Thursday March 23, 2017.